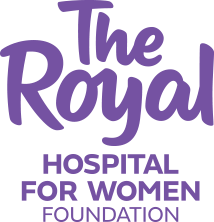 On March 11 Sophie Smith, founder of Running for Premature Babies and Matt Thistlethwaite MP, Member for Kingsford Smith accompanied the Royal Hospital For Women Foundation staff on a tour of the Newborn Intensive Care Unit. This was Sophie’s first visit to the centre since the tragic loss of her premature triplets Henry, Jasper and Evan ten years ago. In response to this loss, and as a way to honour their sons Sophie and her husband Ash set up Running for Premature Babies. To date the group has raised over 1.5 million dollars. These funds have resulted in the purchase of 26 life-saving machines, directly benefitting over 1800 premature babies. In the Newborn Intensive Care Unit one in two of the humidicribs and the majority of the life-saving equipment helping premature babies to breath were purchased from donated funds. Carole Harris & Kieren Brown’s baby Amy was born at 26 weeks. ‘The humidicrib and ventilator provided by Running for Premature Babies, quite simply kept Amy alive. We will be forever grateful to the fundraising and equipment provided by the team. This year Amy started school and is happy and healthy child with no long term effects of her prematurity. Kieren and I are now members of the running team it is our way of saying thank you for all they did for our family’ said Carol. Sophie described this return visit as ‘… a difficult but amazing experience’. Many of the staff who had cared for Sophie and her triplets were there to welcome her back, and it was a chance for Sophie and Matt to meet the many mothers, families and babies in the unit. Families with premature babies face many weeks and sometimes months virtually living at the hospital. For families who live outside Sydney or those with other children the strain is enormous. A strong supporter of Running for Premature Babies and a keen runner, Matt ran the SMH Half Marathon for the group in 2015 and all being well is planning to run again in 2016. Associate Professor Kei Lui showed them through the centre and outlined the many benefits of the equipment at The Royal and the advances in technology that are giving these dangerously premature babies a higher chance of survival. These funds have resulted in the purchase of 26 life-saving machines, directly benefitting over 1800 premature babies. It was only fitting that as the tour finished Matt and Sophie met a family that after weeks in the unit had been discharged and had arrived with a morning tea to thank the dedicated staff. Every dollar raised by Running for Premature Babies goes directly towards purchasing life-saving equipment in The Royal. If you need a reason to get fit this is it. Join Sophie and Matt, and join the Running for Premature Babies Team running in the Sydney Morning Herald Half Marathon on 15 May 2016 – Now’s your chance!